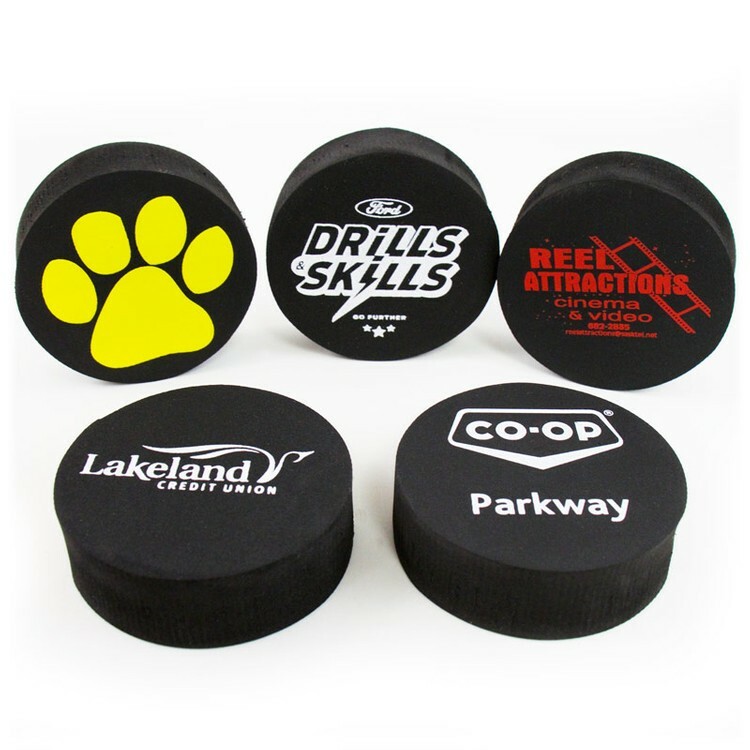 Break away and shoot a promotional hat trick with this piece! Hit our soft, safe 3” EVA foam hockey puck any which way and there’ll be no damage. Choose from the variety of vibrant background color options. 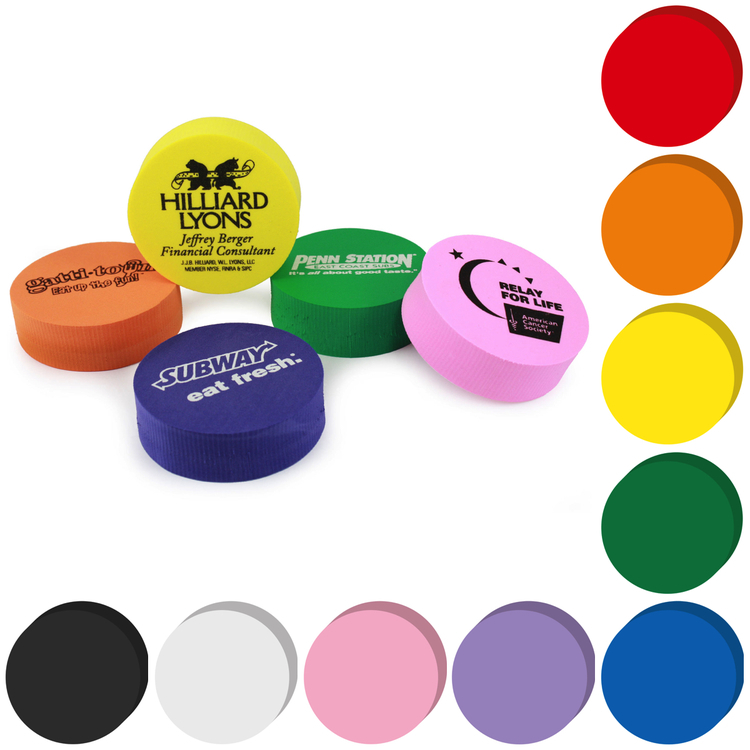 Your logo will stand out nicely on the generous imprint size of 2.5” x 2.5”. It can also be numbered if you like. It’s great for fundraising arena tosses. Table top centerpieces and store display shelf talkers on a stand and made from EVA closed cell foam for 3D attention. Break away and shoot a promotional hat trick with this piece! Hit our soft, safe 3” EVA foam hockey puck any which way and there’ll be no damage. Your logo will stand out nicely on the generous imprint size of 2.5” x 2.5”. It can also be numbered if you like. 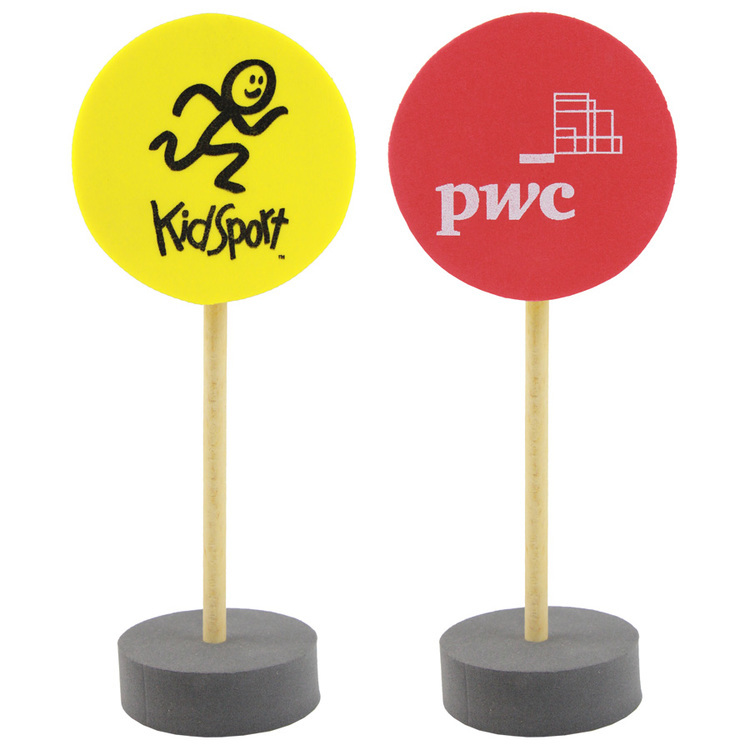 It’s great for fundraising arena tosses.